Despite some market relief that the UK would not crash out of the EU with a no-deal Brexit tomorrow, the confirmation that Brexit will be delayed by another few months did little to make the Pound Sterling to Euro (GBP/EUR) exchange rate more appealing. Since GBP/EUR opened this week at the level of 1.1619, the pair has trended with a largely downside bias due to Brexit uncertainties. This has been despite a lack of strong support for the Euro (EUR) this week. On Tuesday afternoon, GBP/EUR briefly touched a three-week-low of 1.1559 before rebounding slightly on Euro weakness. However, as the Pound (GBP) has been unappealing amid the latest Brexit news, GBP/EUR still trended slightly low, near the level of 1.1606, at the time of writing on Thursday. A mixed market reaction to the news of Brexit being delayed to the 31st of October meant there was no joy for the Pound today, despite a no-deal Brexit being successfully avoided for now. It was a bigger relief than the previous small two-week delay to Brexit. However, the lack of a solid agreement to how Brexit should unfold, as well as the threat of a change in UK leadership, meant investors were hesitant to go bullish. Pound investors are anxious that a solution to Brexit may still be far away, leaving businesses and other factors connecting Britain and the EU in limbo. Analysts do not expect the government’s talks with the opposition Labour Party to lead to any major breakthrough. The Euro has been lacking in solid support this week, but despite that it has been able to avoid losses versus the Pound, which is being weighed by Brexit uncertainty. Demand for the Euro has been a little more resilient than recent data would suggest, continuing a trend seen last week. While some data still indicates that the Eurozone’s trade and manufacturing sectors are being negatively impacted by slowing global growth, other aspects of Eurozone economic data are showing signs of recovery. This is keeping the Euro from losses. 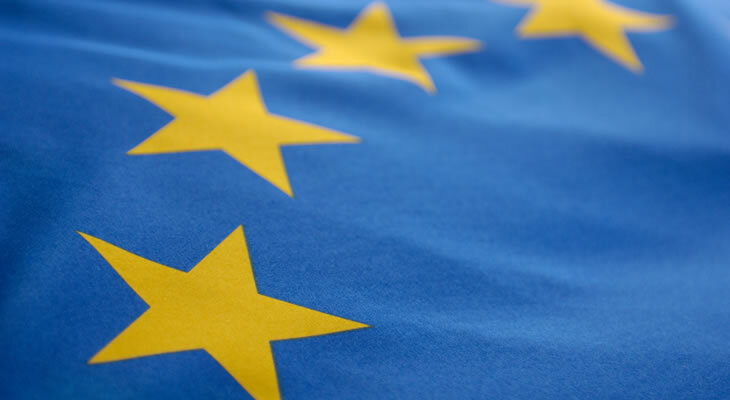 As a result, this week’s European Central Bank (ECB) policy decision didn’t cause any fresh bearishness in the Euro, despite the bank’s cautious tone. ECB President Mario Draghi ramped up concerns about the slowing Eurozone economy, and the possibility of weaker inflation in the coming months. Overall though, the ECB’s tone was unsurprising to investors and Euro investor focus remained on Eurozone data. Now that the risk of a no-deal Brexit has been pushed back by around six months, the biggest potential cause of movement for the Pound and for the Pound to Euro (GBP/EUR) exchange rate will be developments over how Brexit will unfold. UK Prime Minister Theresa May is still holding negotiations with opposition Leader Jeremy Corbyn regarding the possibility of a Brexit compromise. Analysts believe that a compromise is unlikely to be found, but any surprising optimistic developments would certainly bolster the Pound outlook. With the delayed Brexit process meaning a longer period of uncertainty for UK economic activity too, upcoming data may also prove influential. Friday will see the publication of German wholesale prices data and the Eurozone’s latest industrial production stats, which could cause some Euro movement. Looking ahead though, UK job market data and Eurozone economic sentiment data from ZEW could cause some Pound to Euro (GBP/EUR) exchange rate movement on Tuesday. Previous ArticlePound Australian Dollar Exchange Rate Forecast: What Does another Brexit Delay Mean for GBP/AUD?